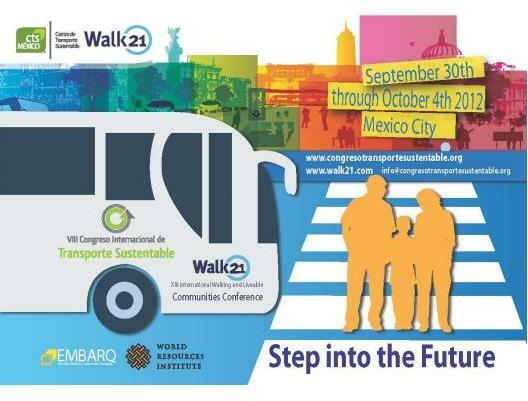 We are pleased to announce that Walk 21 andEMBARQ Mexico have partnered to host the joint XIII International Walking and Liveable Communities Conference and VII International Congress on Sustainable Transport on September 30 to October 4, 2012 in Mexico City. The CALL FOR PAPERS is out now! Available inEnglish and Spanish. Proposals are due by March 9, 2012. Please submit your proposal online here.